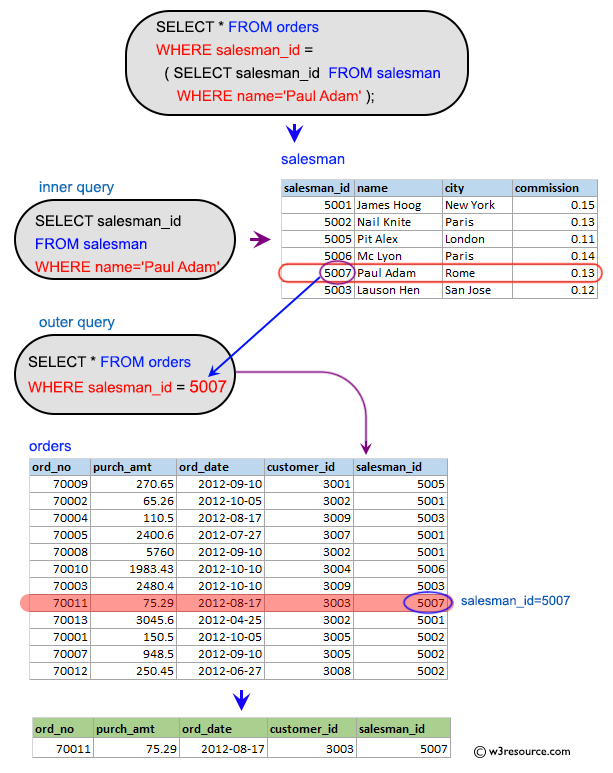 SQL Subquery Exercises: Display all the orders from the orders table issued by the salesman 'Paul Adam'. 1. Write a query to display all the orders from the orders table issued by the salesman 'Paul Adam'. Next: Write a query to display all the orders for the salesman who belongs to the city London.